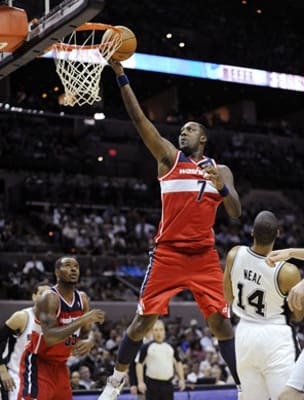 Andray Blatche is a talented player, but his lack of passion for the game holds him back. A season after signing a 5-year/$35 million extension in 2010-2011, Andray started the lockout-shortened season of 2011-2012 out of shape. He's lucky he's still making money after all the trouble he's gotten into. Homie has been caught with prostitutes and reckless driving the last couple of years. The Wizards need to get their heads examined after giving him that deal. He still has three years and about $24 million left on his contract.